Chiranjeevi, Koratala Siva film is all set for now putting an end to rumors. Mega Star Chiranjeevi who is busy with shooting schedules of Sye Raa Narasimha Reddy will be joining sets of Koratala Siva movie next. As per the latest reports, Koratala Siva is currently busy with the script work of the movie, and the formal launch ceremony will take place in January next year. 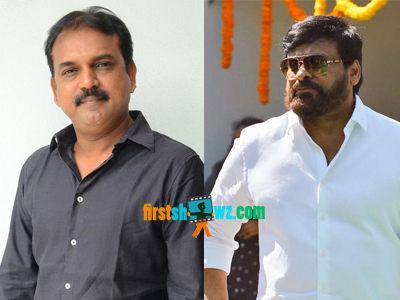 Gossip mongers are abuzz that Chiru – Koratala Siva film is temporarily on hold. But the makers have decided to put an end to these speculations and they have rubbished the rumors. Chiranjeevi, Koratala Siva film will be launched in January 2019 and the big budget entertainer is touted to be a social drama laced with commercial elements. Stick to this space for more updates.